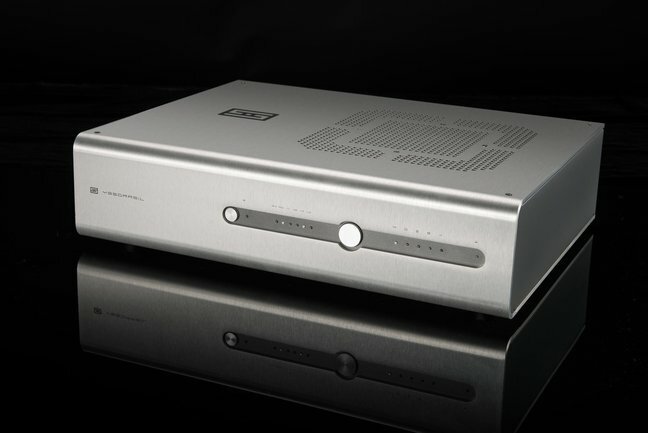 The Yggdrasil DAC is an outlier in so many ways: By a wide margin it’s the most expensive product in the ultra-affordable Schiit Audio line; it eschews the latest 24-bit DAC chips in favor of older 20-bit devices; it unabashedly doesn’t decode DSD or MQA; and it sounds like it should cost $15,000, not $2300. Designed by industry legend Mike Moffat, the Yggy sounds very much like the famous Theta Digital DACs that Moffat designed in the 1980s and 1990s—but better. Like the Theta DACs of yore, the Yggy has a bold, assertive, vibrant, even vivid presentation. You’d never mistake the Yggy for a tube DAC. Because of this startling clarity, individual musical lines within complex arrangements are spatially and timbrally distinct. This had the effect of revealing each musical line with great precision, and with that precision comes a fuller, richer, and more complex presentation of the composition and arrangement, as well as the intent of each musician. The Yggy is different from other DACs in its reproduction of music’s dynamics, particularly transients. Transient attacks, from a hard-hit snare drum to the most delicate tap on a cymbal, are startlingly fast, defined, and vivid. If you’re looking for a DAC that does quad-rate DSD, decodes MQA, offers a volume control, and includes a headphone amp, look elsewhere. But if the very best reproduction of PCM sources is your goal, the Yggdrasil is the ticket. It’s a spectacular performer on an absolute level, and an out-of-this-world bargain. So much has been written about AudioQuest’s DragonFly miniature USB DACs that yet another accolade seems superfluous. Yet the $199 DragonFly Red, in particular, is such a great-sounding product and a stunning bargain that its praises deserve to be sung at every opportunity. When combined with AudioQuest’s $49 JitterBug, the pair is so good that you’d need to spend at least $1500 to equal it. I’ve spent countless hours with a Red in my desktop system and am consistently amazed by this modest little DAC’s smoothness, ease, spaciousness, bass extension, and dynamic contrasts. Although it is not the most resolving in the treble, the designers cannily traded a bit of top-octave air for the Red’s engaging musicality. The units shipping now are MQA-compatible; owners of the earlier generation products can upgrade to MQA for free at AudioQuest’s website. 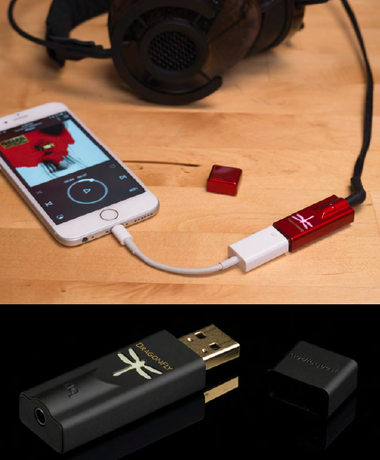 AudioQuest has created a simple and affordable path into the high end for a new generation of listeners, as well as the perfect product for an audiophile’s personal-audio system—and it now works with smartphones. There’s no better ambassador for high-end audio. Rockport’s new Lyra is without question Andy Payor’s magnum opus. Although positioned just below the $225k Arrakis in the Rockport line, the Lyra sets a new standard in innovative construction as well as in sound quality. The Lyra is a three-and-a-half-way, five-driver design with a rear-firing port. 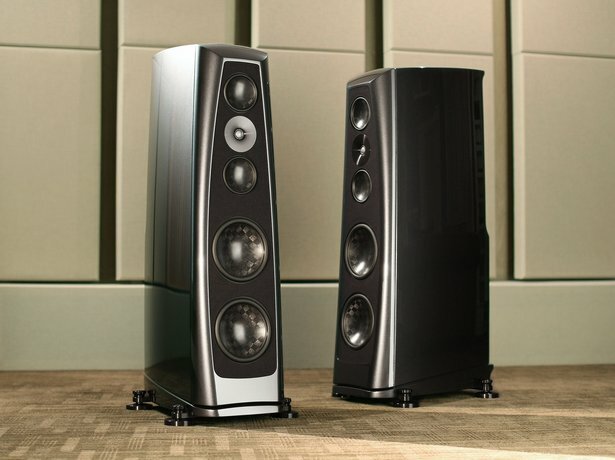 Two 6" midrange drivers flank the 1" waveguide-loaded tweeter, with two 10" drivers on the bottom. The enclosure is made from two massive shells of cast aluminum, with the cavity between them filled with a proprietary, high-density urethane core material. All the drivers are designed from scratch by Payor, and are proprietary to Rockport. Musically, the Lyra delivers a horn-like visceral immediacy with its absolutely stunning dynamic performance. The musical effect cannot be overstated; the Lyra sounds “alive” in a way that other speakers do not. Yet for all its verve and panache, this is a speaker of great delicacy, capable of conveying the subtlest nuance of texture and shading. It’s also the most beautiful in timbre that I’ve heard, combining high resolution with lush textural liquidity. The icing on the cake is the Lyra’s small size (for a world-class reference, which it certainly is), which allows it to fit in many more rooms than other speakers of this price. A bold and stunning statement in contemporary loudspeaker design.